Sass (Syntactically Awesome Stylesheets) is scripting language which produces Cascading Style Sheets (CSS). 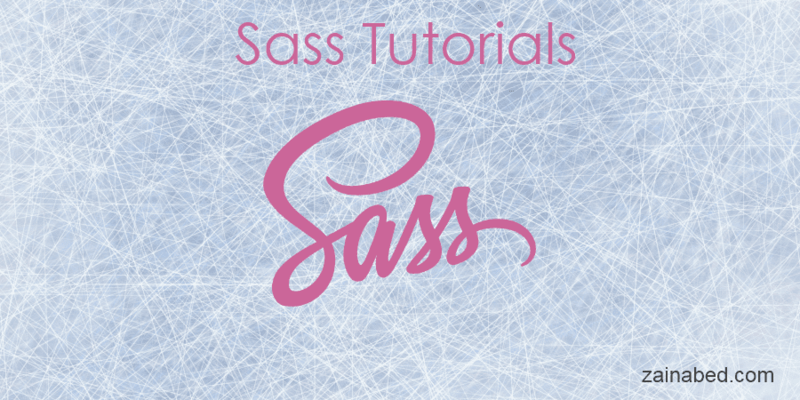 Sass is compatible with all CSS version and has assorted features. It is open source and developed in Ruby. In simple terms by using Sass and its features we can create robust and large Style sheet with less effort and in less time. Sass requires Ruby, so if you are using Windows System then you need to install Ruby first. Here is URL of Ruby Installer. Otherwise if you use Mac or Linux System then you don’t need Ruby, it is pre-configured. use following command to verify Sass is installed properly or not. It will update main.css file whenever you do changes and save Sass file. Sass variable is use to store information at one place and can be used at various place through out the whole Style Sheet. Nesting is associated to CSS control structure define under enclosing brackets. Which produce following CSS style. Mixins allow you to group set of CSS code and reuse it by including whole set of those code inside other CSS selectors. it looks like function with parameter. Extends is like inheritance where you can share CSS properties from one selector to another. Partials are Sass files starts with underscore in beginning of their names. underscore indicate Sass that it is a Partial and Sass does not convert it into CSS file. you rather include this Partial in other Sass files using @import keyword. Partials create structure of Style files and can be reuse in many other files. Sass provides +, -, *, % and / operators to perform mathematical operations.